Several years on, and we still seem to get quite few people having problems with binding their Spektrum radio gear, so with a view to bumping up an old idea we had some years back, ( Video Tutorials ) I have done a short and simple video of the procedure to assist those who may be struggling. I've used one of the clone "orange" receivers, purely because I had a load of them to test and bind up before passing them on to people, so it was "to hand" - but the procedure is exactly the same. 1) A fully charged 4 or 5 cell battery pack, ( I find this more reliable for binding than using a speed controllers BEC ). The method I prefer to to use is the bind plug inserted directly into the Rx, rather than using the special 3 wire harness and socket /switch unit. If you do use such a harness, then remember it MUST be a special 3 wire harness, and MUST be plugged into the batt/bind socket on the Rx. A "normal" switch /charge harness will NOT work. Heres a picture first of the bits you will need. Once successfully bound, it should not be necessary to bind the rx to the tx again - its a once-only operation, performed whilst setting the model up at home before the maiden flight. Fail-safe settings ( where available on the receiver ) should also be implemented during this bind procedure. In my extensive experience a receiver will NOT simply lose bind without user intervention - a bind plug MUST be inserted in to the correct socket before a receiver can enter bind mode. Even accidentally pushing the bind button on the DX7 rear casing will not "unbind" a properly bound receiver unless a bind plug is inserted. In this scenario, you are using the bind button to enter "range check" mode, and it goes without saying that this should NOT be done whilst the model is airborne! Thanks Timbo - much appreciated by someone who looks at the Spektrum instructions every time and still can't make much sense of the wiring shown - yours is much clearer. Just for clarification, for those who might not be fully aware of the regulations embodied in CAP 658 - you said "fail safe settings can also be implemented (where applicable)". For the avoidance of all doubt if the system is fitted with a failsafe, then that system must have the failsafe correctly set, with a minimum of the throttle set to idle. That is the case whatever the weight of the model. Fairy snuff leccyflyer - although I was really referring to the fact that only certain receivers have a "proper" failsafe function - many simply affect only the throttle channel. I have ( hopefully ) clarified this a bit better in the post now. Just a quick question regarding this. 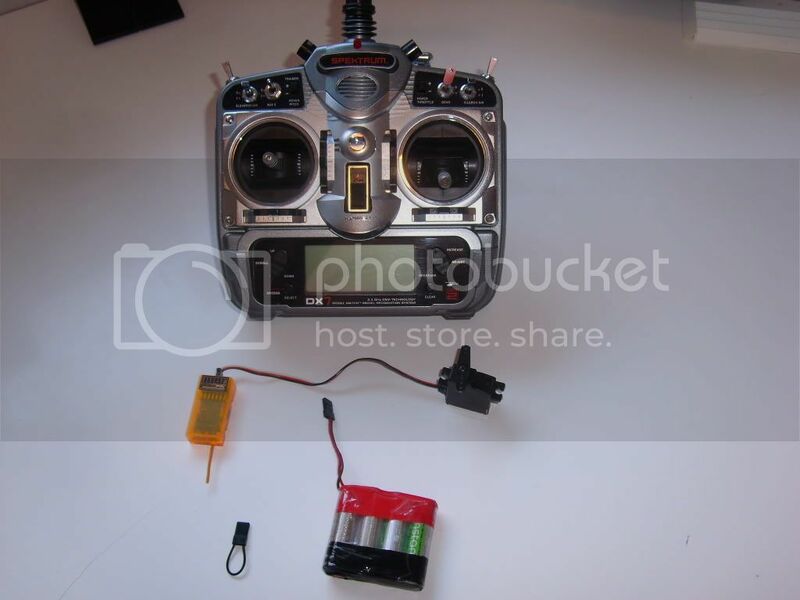 Do the servos NEED to be connected to the Rx during the binding process, or is it quite alright just to connect them up after binding? No, Ross, it just means you can confirm it's all go instantly. Cool. I was just wondering as i have just binded/bound (??) my Yak 54 without the servos connected, then connected the servos and they seem to be fine so was just checking. I discovered that he was using a BEC mode ESC to power up and bind, which is fine, until he did the following. Bind completed, he removed the bind plug, switched everything off, and then inserted the BEC power plug into the batt/bind socket of the rx. Switching everything back on, the bind light started to flash, although everything worked fine. The problem is that the BEC plug has 3 wires + - and signal. The signal wire was effectively causing a short across the two outer pins of the receiver socket - exactly what a bind plug does - so the receiver thought a bind plug had been inserted! Plugging the BEC into any other socket restored order, and solved the issue. Of course, in normal use, the BEC lead will plug into throttle channeso no problem will exist. Just thought it worth mentioning, as I bet he is not the only one to have done this. Been there done that more than once (slow learner) - at least I know what causes it now!! I forgot to say, cheers for this great thread Timbo. To be honest, it couldn't get any easier after this advice. I did it yesterday and the process was so simple, I didn't even need the servos connected! Good tip about 3 lead switches too, because I wouldn't have done it this way without reading this thread. Literally, battery connected, bind plug in and your procedure followed = instant success. Top stuff, thanks. sticky buns in the mail poss tim? 15 articles Nah, but maybe some "flatbread"
Some of the Spektrum receiver instructions mention a second binding ' so that the true low throttle and neutral control surface positions are set'. I can't see the need to do this apart from the initial failsafe positions might be wrong due to servo reverse selections on the transmitter (you won't know if the servo directions are correct until the system has been bound). 15 articles I think you have it gary - it is best to do a bind after all the radio is installed and working, in case you have altered things and the original failsafe are no longer appropriate. I brought it up because I'm rebinding an AR7000 in an RES glider to a new transmitter and I couldn't find the bind port! I resorted to reading the instructions which told me the bind port is sideways under the main channels, doh! I saw the warning on rebinding while I was there. I only seem to be able to set the throttle channel to a failsafe position (I'm using it for spoilers). I've tried holding the elevator and aileron (controlling the rudder!) stick in a preset position while pressing the Tx bind button (a one armed paper hanger job!) but I'm just getting throttle channel movement (SmartSafe I think). I tried pre-setting the controls with trim input but that didn't work either. This is with a JR DSX9, the 35 meg instructions that you get with the 2.4 version (bananas!) mention a pre-set controls fail safe mode in SPCM that has to be programmed in the Tx. The 2.4 supplement seems to say that if you insert the bind plug in a JR RD921, power it up then remove it (the Rx light will still flash) then set the transmitter controls to where you want them, then press the bind button (phew!) it should work. I'm going to try this with the AR7000 and see what happens. I'm after a descending spiral as a fail safe setting. Will report back!! Just need to see if this method works with the AR500. You learn something every day!! The manual is very misleading, suggesting that you set the presets on all channels whilst binding....it wont do anything. All that happens on signal loss is they hold "last known good". The will NOT move to any preset position.